In my previous article, I talked about the bold steps the citizens of the United Kingdom took by voting to leave the European Union through the infamous Brexit. I looked at the two main economic benefits which made a lot of sense in supporting their departure from the EU. However, with every advantage there is always a disadvantage. 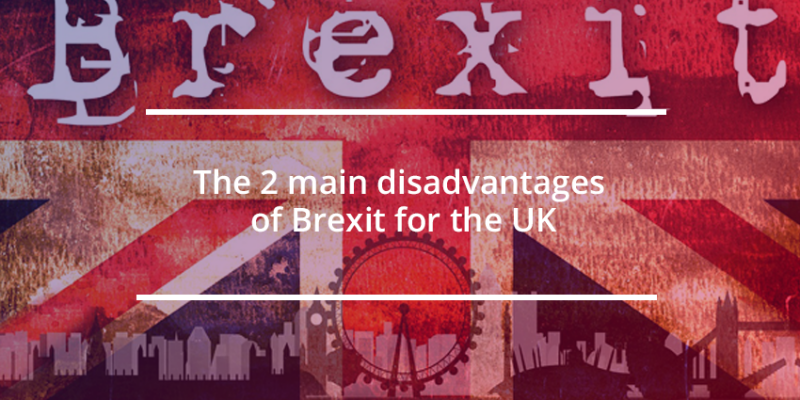 In this article, I will look at what I consider to be the two biggest disadvantages of Brexit for the UK. Well, being a member of the EU was extra incentive for foreign investors to invest in the UK because they were confident of getting free access to the extended European market. This however is set to change because the UK will not keep enjoying the privileges it did of being part of the EU common market. This will definitely be a concern for many international investors and they are likely to start reconsidering their investments in the UK. As a member of the EU, the UK gets the added benefit of sharing intelligence as well as other records with its counterparts in the EU. This is however likely to change once the UK fully exits the EU and the process of sharing intelligence and other data will become much more bureaucratic because the border crossings will no longer be open. Unless the UK maintains the current status quo in terms of the security arrangement it enjoys as being a member of the EU then securing the UK borders will prove to be a challenge. There you have it. At the end of the day, your choice to support or oppose the Brexit will be down to your own individual assessment of these pros and cons.